Toronto-based Hockeystick is partnering with the Canadian Women’s Hockey League (CWHL) all-star game, taking place at Scotiabank Arena on Sunday, January 20. Hockeystick will be matching every $20 ticket sold for the game, which means for every ticket purchased, attendees will receive a second ticket free of charge. Hockeystick founder and CEO Raymond Luk said the gender disparity in both professional sports and Canada’s tech community offered the company an opportunity to act. Luk is friends with Jayna Hefford, interim commissioner of the CWHL. She’s also a Hockey Hall of Fame inductee and a true hockey legend. Despite Hefford’s success as a female hockey player, she has spoken openly about the pervasive difficulties for fellow female hockey players to pursue their athletic dreams full-time. In fact, many players in the CWHL report having to work a second job so they can support themselves. 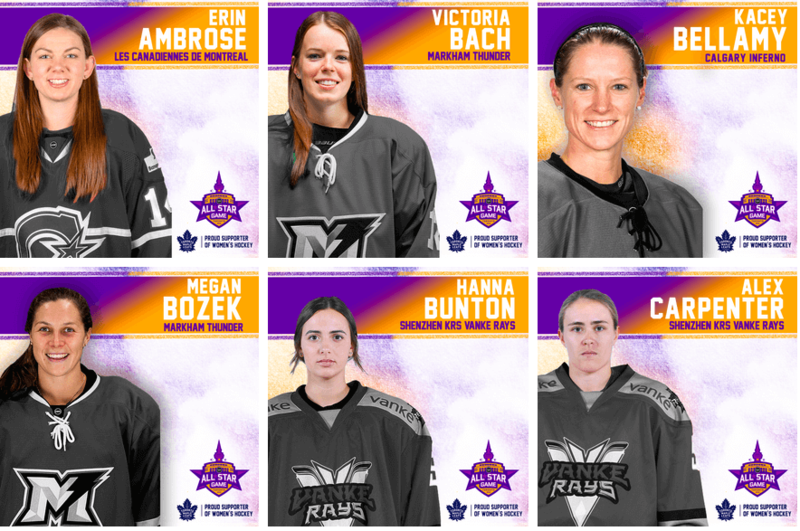 A few of the players taking part in this year’s all-star game. In September 2017, the CWHL announced it would begin paying its players, with salaries ranging from $2,000 to $10,000. The announcement came after rival NWHL announced it would cut player’s salaries in half. Gender-based wage and work disparity, and the need for second jobs to make ends meet, are familiar anecdotes for Canadian women entrepreneurs and tech workers. Toronto-based startup hub OneEleven, as well as non-profit Futurpreneur, are also lending their support: OneEleven will sponsor a girl’s hockey team to attend the game, while Futurpreneur will host a meetup at the game for local tech entrepreneurs. Luk said diversity is a complex problem for companies to tackle, but he said Hockeystick has recently made changes to its hiring process, reviewed their language to thwart discriminatory practices, and created an official diversity and inclusion statement. He hopes Hockeystick’s contribution can incentivize a larger audience to enjoy Sunday’s event and celebrate women’s hockey. Buy tickets and learn more about the game here.